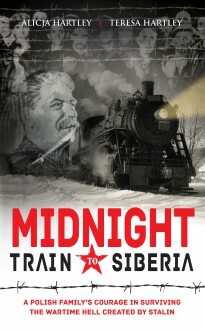 One freezing February night in 1940, fifteen-year-old Alicja Goral, her parents and younger sister and brother were dragged from their home and forced to board a cattle train to be transported over a thousand miles to the wastes of Siberia. They were just one of many thousands of Polish families sent to labour camps by Stalin and his NKVD after the Soviets seized their country at the outbreak of World War II. They became ‘non-persons’, forced to work from dawn to dusk in freezing conditions on the most meagre rations. Ultimately the Gorals and the Radomskis were among the lucky ones – they managed to survive their ordeal, return to Europe and find new homes in post-war England, where Alicia and the family found peace and security. Alicja, now 89, has finally told her shocking, heart-rending story with the help of her daughter Teresa.